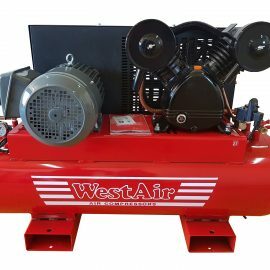 480V RURAL POWER COMPRESSORS Archives - WestAir International Pty. Ltd.
480 Volt rural powered compressors. These compressors are 2-Phase belt drive. WE20/110 – 20 CFM compressor, 110L tank. WE27/110 – 27CFM compressor, 110L tank. WE35/200 – 35CFM compressor, 200L tank.